A Royal Canadian Air Force Twin Otter crew out for some search-and-rescue training accidentally found, and rescued, two Nunavut hunters. 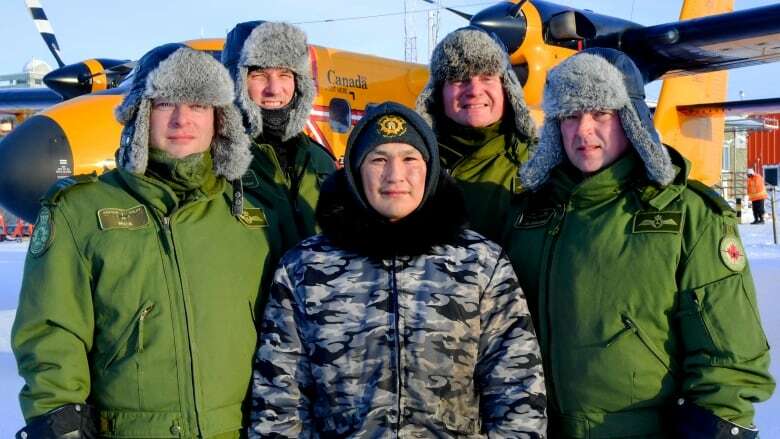 Thom Doelman, a captain with the Royal Canadian Air Force in Yellowknife, said the crew was flying near Hall Beach, Nunavut, during Operation Nunalivut, a sovereignty exercise that happens each year in Canada's North. "You could probably go crazy trying to think of all the things that had to line up for us to see these guys out there," Doelman said. Thursday afternoon's training exercise was a search mission at an old mine site. That's when from his window, Cpl. Jason MacKenzie saw something he didn't expect — a person who possibly needed help. "As you can imagine, we were shocked to hear this," said Doelman. "We assessed it as a crew," Doelman said, recalling that they only had about 30 minutes before it would be too dark to attempt a landing. "We didn't know of any missing persons, but we felt that given that it's the Arctic, given that it was about to get dark, that we couldn't continue back to Hall Beach without checking on these guys." The captain had never landed on sea ice with wheels on the plane instead of the skis, so he did what's called a "nose-off drag" where the main tires are dragged along the ice to check that it could hold the plane's weight. Once Doelman landed beside the pair's makeshift shelter, he immediately began preparing the plane to take off again. He estimated they had 15 minutes on the ground before it would be too dark to take off. "At this point my heart sank because to find out there was a third guy out there, it was unbelievable," he said. Two adults and a teen — Tyler Amarualik, Lloyd Satuqsi, and Eugene Gibbons — had been on a hunting trip about 40 kilometres south of Hall Beach when their snowmobile broke down. They tried to activate their SPOT device, but it didn't work. Gibbons and Amarualik made a temporary shelter while Satuqsi started to walk back in the direction of town. But Gibbons and Amarualik hadn't heard from their friend — or seen any sign of a rescue crew — in two days. "I was very happy I was going home, because I wasn't sure if I was going home, sleeping outside, fearing that we weren't going to be found," Gibbons, 15, said in Inuktitut. 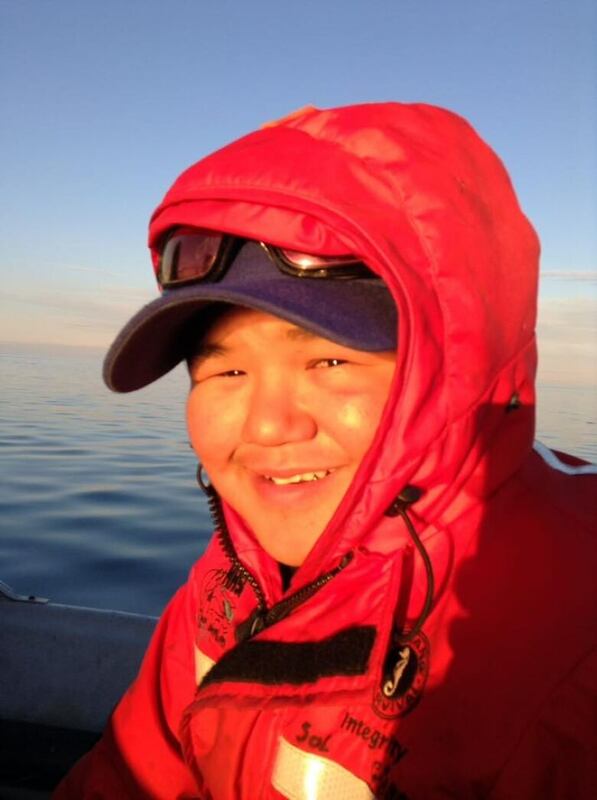 "They're the luckiest two guys in the Arctic that I know," said Doelman. "[Search and rescue] is not our squadron's primary mission but we still train for it and practice it. It proves why we have to train to be ready for something like this."